Since 1994, Powder House has grown to become the largest and most complete ski & snowboard rental shop in South Lake Tahoe, California. For convenience and value of ski and snowboard rental packages, you cannot beat the Powder House Ski and Snowboard of Lake Tahoe. At Heavenly Mountain Resort, skiers and snowboarders alike are thrilled with varied terrain that spans the California-Nevada border and includes rolling glades, terrain parks and challenging technical steeps. Whether a beginner or an expert, a Lake Tahoe ski vacation at Heavenly offers something for everyone, including easy groomed runs, back-country-like terrain, tree runs and exciting terrain parks. Come explore all the winter fun at Heavenly mountain! Kirkwood Mountain Resort is one of the nation’s top year-round family destination lifestyle resorts. The Powder Express (South Lake Tahoe – Kirkwood) — All aboard the Powder Express! Save yourself the hassle of road conditions, traffic, chains & parking and jump on the Powder Express coach service. Sit back & watch a ski or snowboard flick or take a nap & save your energy for the hill. The Powder Express’ daily roundtrip service picks up from multiple points in SLT and shuttles you direct to the mountain. Our online reservation system will be up soon, in the meantime call 888.353.9173 or click the button at right for more information. Ask any local what they love about Sierra-at-Tahoe® Resort and, aside from the 480 annual inches of fresh powder a year, 2,212 vertical feet, access to Huckleberry Canyon, state-of-the-art terrain parks, wind protected slopes, and carveable corduroy. FREE South Shore Shuttle — “Hub” and go with the complimentary South Shore Shuttle providing a comfortable and convenient alternative to driving from South Lake Tahoe. Red + Yellow Routes: Park at one of 3 convenient hubs and board the complimentary shuttle headed for Sierra! Departures start at 6:35 a.m. and continue until 11:00 a.m. Downloads to Meyers, The Y, and Stateline hubs depart hourly from Sierra Resort starting at 12:50 p.m.
Blue Route: South Shore Lodging guests enjoy extra convenient pickup and drop-off at selected South Shore Lodging properties on the Blue Route. Reservations strongly recommended. Please call 866.848.3427 or click here. Downloads to specified lodging properties only depart from Sierra at 2:30 and 4:30 p.m. Voucher is required to board the bus. Shuttles from the Bay Area, Reno, Sacramento and Folsom. Other coach/Charts services available with reservations. 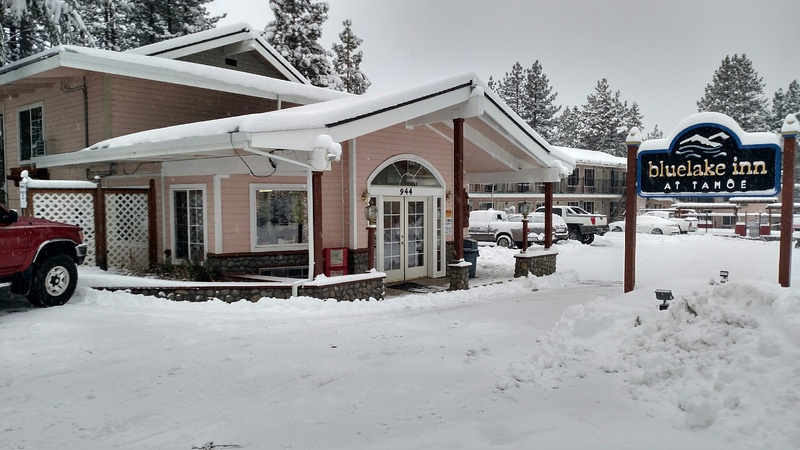 Our main tour center location is in Meyers, California, just a few minutes south of Lake Tahoe on US Highway 50. We’re right across the street from the California Agricultural Inspection Station. You can come here to book tours in person, or you can book online or by phone at (800) 865-4679. You also want to come to the tour center if you need gear such as helmets, boots, snowsuits, etc. Most of our tours start from our tour center, then complimentary shuttles will take you to our staging locations. We’re open 365 days a year, from 8am to 5pm. Sierra Mountain Sports is your year-round, one-stop-shop for Boating, RV and Snowmobiling. We have everything for your boating needs-oil, tools, parts, repairs, outboard engines, inflatable boats, water sport toys â€” you name it! And then there’s RV. We repairs and service your RV while you’re in town enjoying yourself. We also offer winterization of boats and RVs and so much more. We are the region’s only Arctic Cat, Polaris and Ski-Doo snowmobile dealer. We sell new and used snowmobiles as well as service and repair all makes and models of snowmobiles. We also offer circle track riding at two locations as well as a tubing hill. Snowmobiling at Lake Tahoe’s Zephyr Cove Resort puts you on top of the world, with cruises over mountain meadows to peaks nearly 9,000 feet above sea level. We have access to 45 miles of groomed trails where you can glide through towering pine and aspen, breathing in the fresh air and marveling at the amazing scenery. With our expertise and Lake Tahoe’s natural beauty, you’ll have an unforgettable tour, whether you’re a novice or a seasoned snowmobile enthusiast. Discover why Tahoe is the perfect place to ride with our fantastic Snowmobiling Tours. (800) 23-TAHOE. Spooner Lake Cross Country Ski Area offers fun for people of all ages and ability levels. Whether you want easy to moderate trails, or day long treks into the back country, or even an overnight in a wilderness cabin, Spooner has something for you. This is the closest major cross country area to South Lake Tahoe, 12 miles from the Stateline Casinos on the Nevada side of the lake.